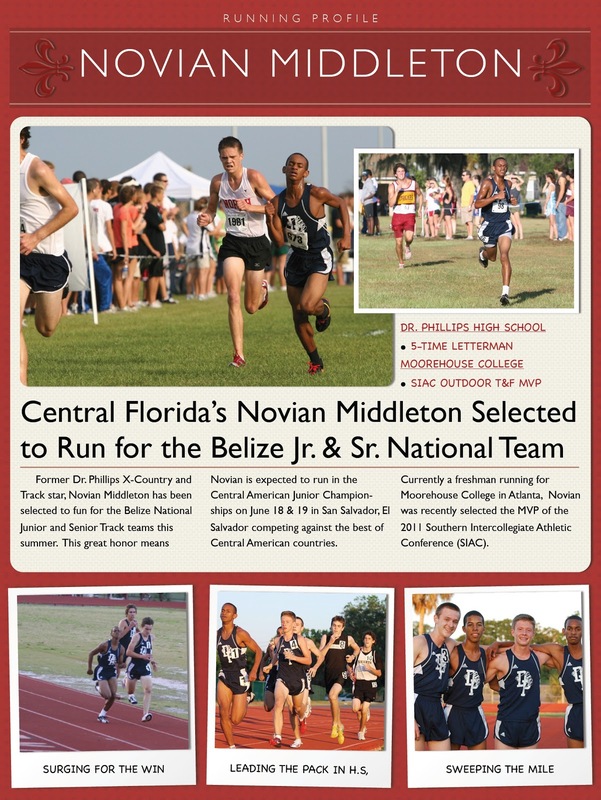 You have been selected to be a part of the Belize National Track and Field Selection to represent us at the Central American Jr. and Sr. Championships. The Central American Jr. Championships and the Central American Sr. Championships will be held on the weekend of 18 – 19 June 2011 in San Salvador, El Salvador while the Sr. Championships will be held in San Jose, Costa Rica on the 24 – 25 June 2011. Further you have been named to represent Belize at the Pan American Jr. Championships to be held in Miramar, Florida, USA from the 21- to 23 July, 2011. Given that our current executive is only seven months old we are still in the process of re-building and our financial position is as such that we are unable to finance your transportation. I humbly ask that you seek the necessary financial support to make your trips possible. On behalf the BAAA I thank you for accepting to represent our country. An exciting opportunity has presented itself for one of Central Florida’s brightest young stars. 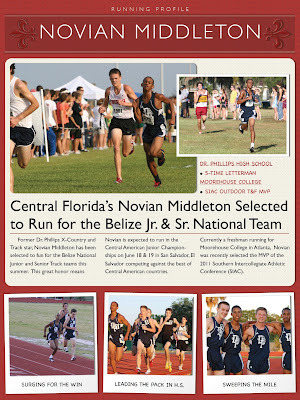 Novian Middleton, a 2010 graduate of Dr. Phillips High School and current Student-Athlete at Moorehouse College in Atlanta has been selected to represent the country of Belize in the upcoming Central American Junior and Senior Championships in mid-June. As a dual citizen of both Belize and the United States, Novian has the good fortune to represent Central Florida internationally. Unfortunately, unlike U.S. Track & Field, the Belize Amateur Athletic Association is not well funded and is dependent on the athletes supporting much of their competition expenses. For this reason, we are asking for tax-deductible contributions to support Novian’s dream of running in the Olympics. The journey begins this month. 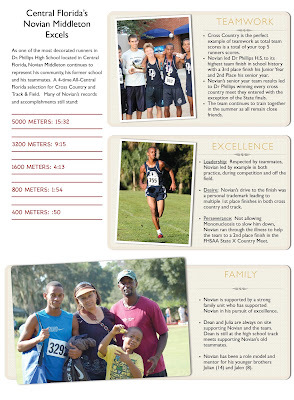 To help support Novian and in partnership with the Track Shack Fitness Club, (a local 501(c)3 charitable tax organization whose mission is to support the Central Florida running community in a variety of ways), a specific account has been set up to support Novian’s pursuit. We are asking that you send tax-deductible contribution cash or check written out to “Track Shack Fitness Club” with a note on the check specifically mentioning “Novian Middleton Account”. We have a sense of urgency as the event is June 18 & 19 and Novian is training hard. On behalf of Novian and his family, we thank you in advance. GREAT NEWS............... WAY TO GO NOVIAN! We are so very proud of you. I would love to see Belize represented in the 2016 Olympics. Good luck! Big up my breda..respect to you Dean !